Wow, great image Marcel, love the Bokeh, great isolation from the background. 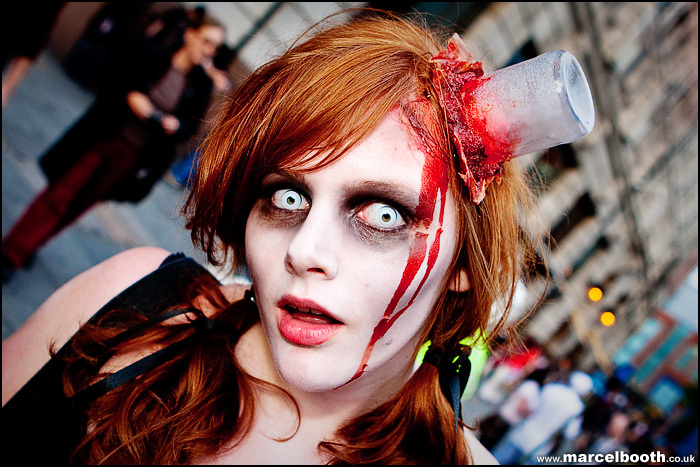 Also that is a great Zombie, i love the bottle in the head 🙂 Also them eyes… they are creepy. Thanks very much Chris. It’s my much loved 24-70L. 🙂 She was a good zombie for sure! Superb Marcel as always! Love the detail in this shot the your drawn to the eyes!